Our two Satellite Control Centers are located in Gharyan, Libya and Fucino, Italy – operated in partnership with Telespazio. Our Network Control Center located in Douala, Cameroon controls and manages all Rascomstar Ground Services, such as our Rural GSM Extension Service and our Rural Fixed-line Extension Service, plus our VSAT Service. Our Customer Service Center is located in Douala, Cameroon. In addition to the various Teleports used by RascomStar customers in Europe and Africa, we are able to up link traffic from Africa through our stations in Gharyan, Libya and Douala, Cameroon and Alicante (Spain). 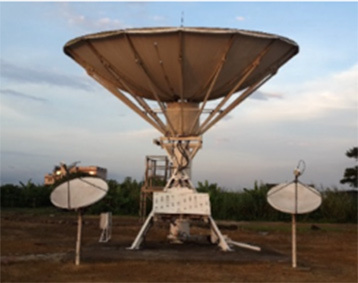 RascomStar is also able to host new antennas and racks in it’s Teleports in Africa, which are fully secured in terms of energy, fully staffed and have fiber interconnection to the national networks.